They are loyal and affectionate. They also can be a bit messy sometimes, but they are the ones that will greet you back at home with the same consistent affection. It is this that makes it all worth it. The majority of dog owners will say that their dogs bring a smile to their face at least once a day. This can explain the reason they are called “ man’s best friend”. In fact, dogs were the first animals to be domesticated by humans and the relationship between humans and dogs has just got stronger and stronger over the years. Also, you might think they are being a bit naughty when you leave them at home, but this sometimes is not true. You wouldn’t believe it, but they spend most of their time sleeping. Yes, probably saving energy to share with you when you are back home. They are pack animals, so they love to get involved with the family’s schedule. You might take notice that dogs curl up when sleeping and this position is to maintain warmth. 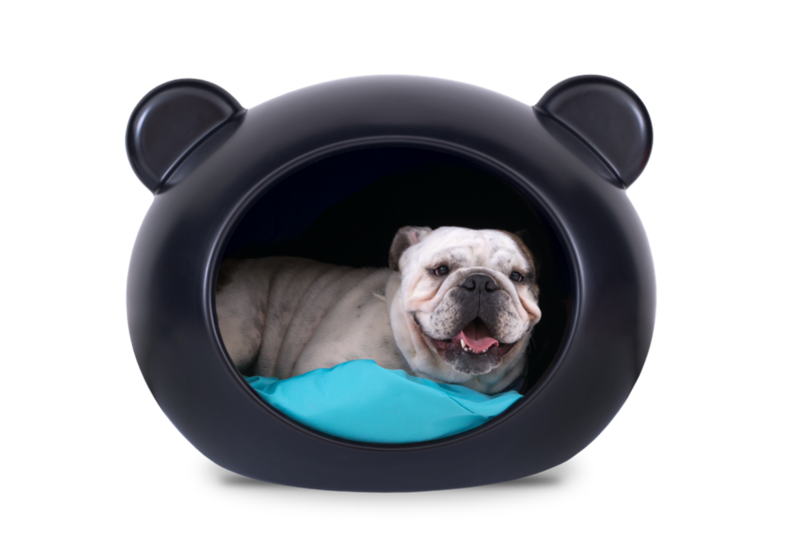 Guisapet has made a luxury pet bed (or if you prefer a house or a cave) with the patented pending oval shape that will give them a sense of comfort and retreat. We are confident that, like us, you think they deserve the best. As many dogs are territorial, they want to have a place of their own, somewhere they can rest and relax. Also, houses will give them a sense of protection. 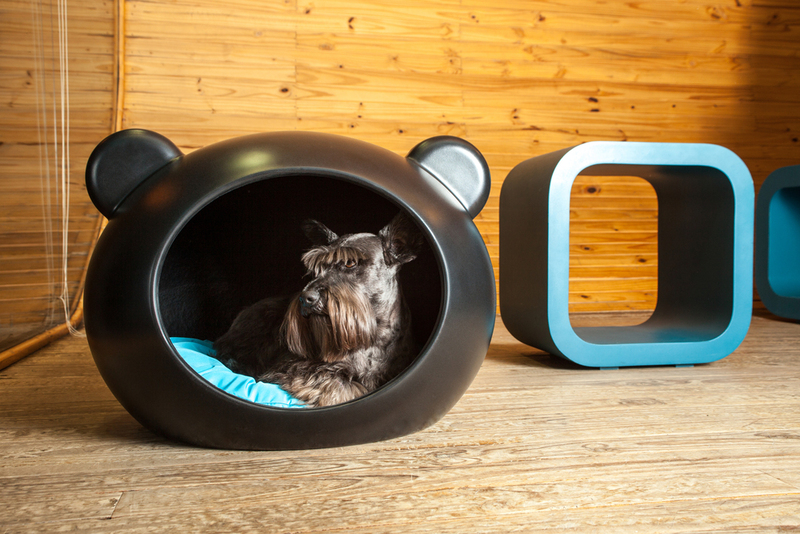 The Guisapet Dog Cave is suitable to leave outdoors during the summer when dogs spend more time outside in the garden. They love to sunbathe just like we do; if the weather is too hot for them, place the house somewhere cooler and the dog will show you where they want the house to stay. It is UV treated, so it means that it won't lose its colour when exposed to sunlight. Guisapet dog cave will enhance your surroundings with passion. It brings a sense of style and design as a home accessory. Nobody said that a product for pets has to be dull or cheap. In addition, Guisapet pet furniture is durable, proving to be a long lasting investment for your home and pets. It is made of Polyethylene. Both house and cushion are easy to be cleaned, making life much easier for you. Dogs naturally like to hide themselves in small holes because instinctively, it is their way to feel protected from any adversity. Guisapet dog caves were designed to contribute to this natural urge. You can place the cave wherever you want. It is light, so you can move it around the house. Although it is light, the Guisapet dog cave is sturdy. It is also anti-mould and doesn't retain odour. Commonly known as an independent type of pet, this assumption doesn’t do them justice. In fact, cats are loyal, and they will show appreciation to owners that demonstrate a consistent affection to them. Cats might spend 1/3 of their lives sleeping, and for a kitten, it is extremely beneficial to sleep long hours because this is the time that their growth hormones are released. So it makes sense to keep comfortable, reclusive and cosy cat beds so they can relax as much as they want to. 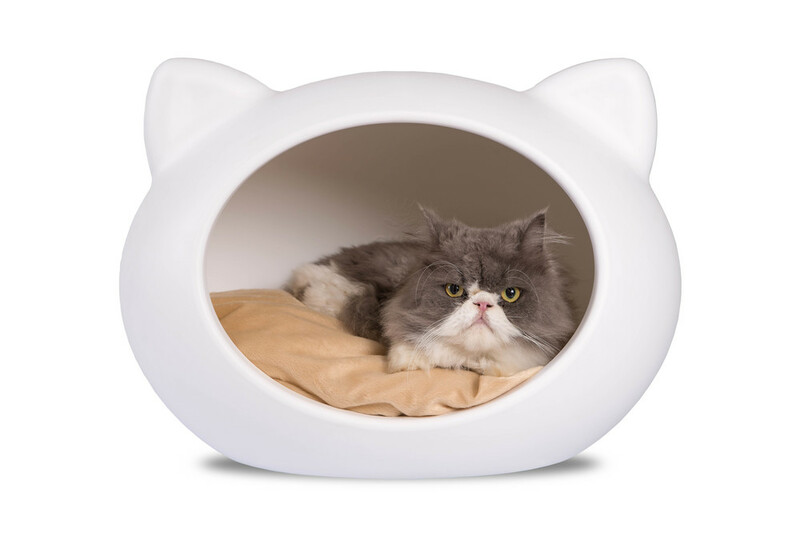 Guisapet Snoozer Cosy Cave is perfect for your cat. They will conserve energy during sleep to spend when awake, and we know how active they can be. They are supremely flexible, strong, and skilled in jumping and they love heights. Cats might spend 1/3 of their lives sleeping, and for a kitten, it is extremely beneficial to sleep long hours because this is the time that their growth hormones are released. So it makes sense to keep comfortable, reclusive beds so they can relax as much as they want to. Guisapet Cat Caves are perfect for them. They are easy to clean, and as we know cats love grooming themselves and cleanliness is of great concern to them. 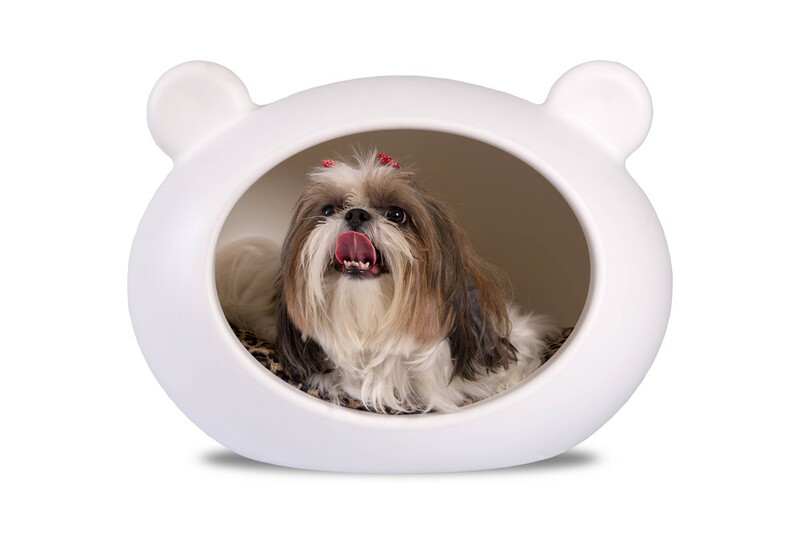 Also, this cave is scratch-proof which will prove to be a long-lasting investment for your furry baby. Cats are territorial animals. Have you noticed how they like to place themselves in high places such as trees, cupboards and roofs so they can keep an eye on what is going on? They like to have a place of their own. As much as they like to look after themselves, they also like to have a clean space to sleep. The Guisapet Cat House is suitable to leave outdoors during the summer when cats can spend more time outside in the garden. They love to sunbathe just like we do; if the weather is too hot for them, place the house somewhere cooler. It is UV treated, so it means that it won't lose its colour when exposed to sunlight but please do not leave this cat house outside all year around. 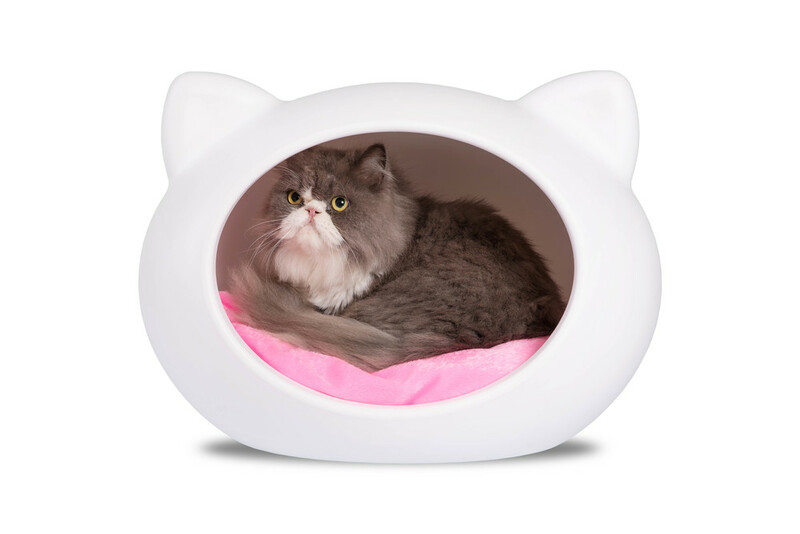 Guisapet designer cat beds will enhance your surroundings with passion and excitement. It brings a sense of style and design to your home. Nobody said that just because it is a product for pets, it needs to be dull or cheap and we know how cats can be fussy animals. They take pride of themselves and for their belongings to. In addition, Guisapet pet furniture is durable, proving to be a long lasting investment for your home and pets. It is made of injected Polypropylene, and is anti-scratch. Both house and cushion are easy to clean and not only that, the house repels dust. 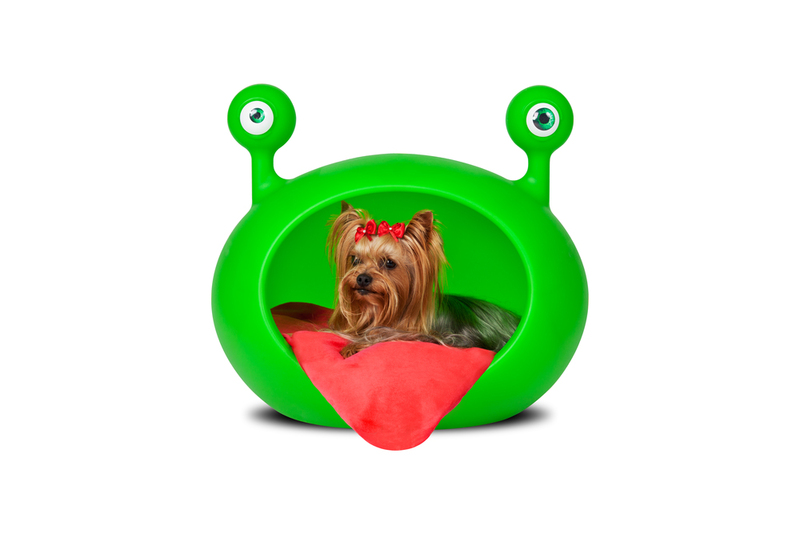 Combining design and functionality, Guisapet has made this funky pet beds to bring fun into your home, offering a pleasant sleep with privacy for your pets. 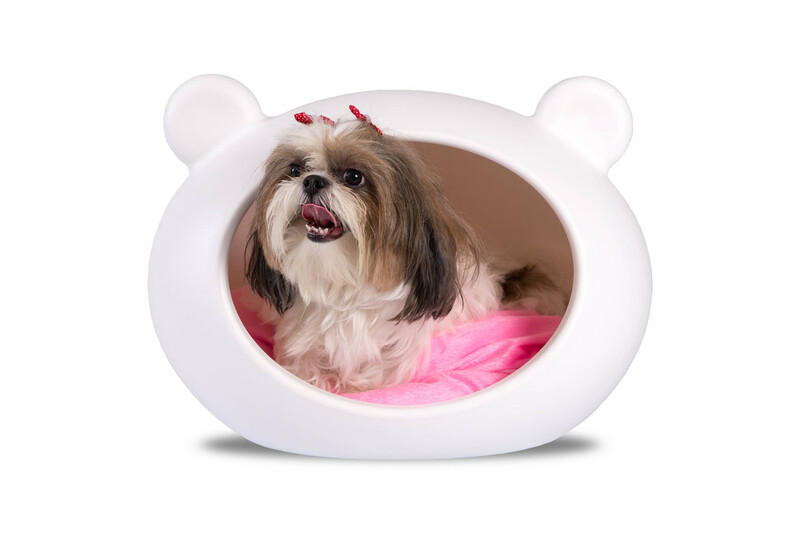 Guisapet Cat Caves and Dog Cave are the perfect home accessory that will please not just your little pet but also the whole family. Your pet will be more comfortable and your home beautiful. Monster Cave Pet Bed comes with Red Cushion. They are loyal and affectionate. They also can be a bit messy sometimes, but they are the ones that will greet you back at home with the same consistent affection. It is this that makes it all worth it. The majority of dog owners will say that their dogs bring a smile to their face at least once a day. This can explain the reason they are called “ man’s best friend”. In fact, dogs were the first animals to be domesticated by humans and the relationship between humans and dogs has just got stronger and stronger over the years. A perfect match! Also, you might think they are being a bit naughty when you leave them at home, but this sometimes is not true. You wouldn’t believe it, but they spend most of their time sleeping. Yes, probably saving energy to share with you when you are back home. They are pack animals, so they love to get involved with the family’s schedule. You might take notice that dogs curl up when sleeping and this position is to maintain warmth. So after analysing and understanding dog’s behaviour, Guisapet has made a bed (or if you prefer a house or a cave) with the patented pending oval shape that will give them a sense of comfort and retreat. We are confident that, like us, you think they deserve the best. The Guisapet dog cave bed is suitable to leave outdoors during the summer when dogs spend more time outside in the garden. They love to sunbathe just like we do; if the weather is too hot for them, place the house somewhere cooler and the dog will show you where they want the house to stay. It is UV treated, so it means that it won't lose its colour when exposed to sunlight. Guisapet dog furniture will enhance your surroundings with passion. It brings a sense of style and design as a home accessory. Nobody said that a product for pets has to be dull or cheap. In addition, Guisapet unique dog beds are durable, proving to be a long lasting investment for your home and pets. It is made of Injected Polypropylene. Both house and cushion are easy to be cleaned, making life much easier for you. Dogs naturally like to hide themselves in small holes because instinctively, it is their way to feel protected from any adversity. Guisapet cosy dog beds were designed to contribute to this natural urge. 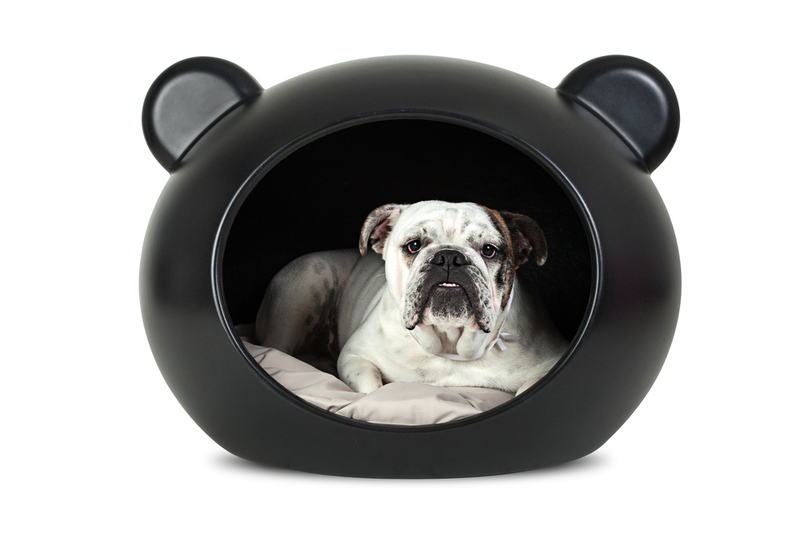 You can place the dog cave bed wherever you want. It is light, so you can move it around the house. Although it is light, the Guisapet durable dog bed is sturdy. It is also anti-mould and doesn't retain odour.